Ear, Nose and Throat open access open journal (ENATOAOJ) publishes practical, reliable, high quality, peer reviewed research articles of all types highlighting the current developments and new techniques evolved in the ENT field. The major focus is on scientific research related to clinical care, case reports which depict unusual entities or innovative approaches in treating and management of those cases. The topics covered in the journal include and are not limited to: ENT imaging, related surgical procedures, Otoscopy, rhinoscopy, laryngoscope, Facial plastic surgery, Pediatric otolaryngology, endemic ENT issues, hereditary ENT disorders, infectious ENT problems, etc. Submit manuscript at https://soaoj.com/submit-manuscript/ or as an e-mail attachment to the editor@soaoj.com. The auditory nerve is a bundle of nerve fibers that carries hearing information between the cochlea the brain. 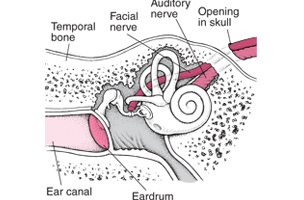 Usually, hearing loss that is called “sensorineural” or “nerve deafness” is actually caused by problems with the cochlea, instead of the actual auditory nerve, but a very small percentage of hearing loss is caused by problems with the nerve, usually related to acoustic neuromas (tumors) on the nerve covering. Hoarseness is a symptom and not a disease. 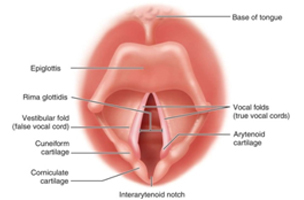 It is a general term that describes abnormal voice changes. When hoarse, the voice may sound breathy, raspy, strained, or there may be changes in volume (loudness) or pitch (how high or low the voice is). Hoarseness can be caused by a number of conditions. 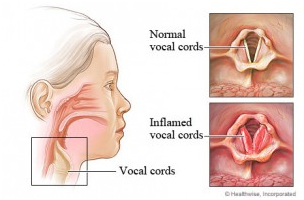 The most common cause of hoarseness is acute laryngitis (inflammation of the vocal cords) caused most often by an upper respiratory tract infection (usually viral), and less commonly from overuse or misuse of the voice (such as from yelling or singing). 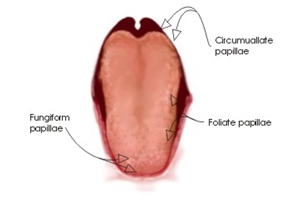 Aphonia is an voice disorder defined as the inability to produce voiced sound. 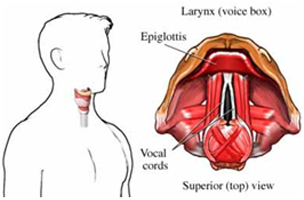 Primary cause of aphonia is bilateral disruption of the recurrent laryngeal nerve, which supplies nearly all the muscles in the larynx. 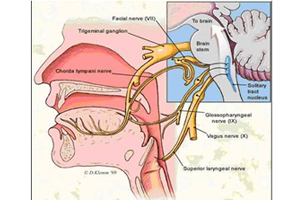 Damage to the nerve may be the result of surgery (e.g., thyroidectomy) or a tumor. Neural stimulation, also known as Spinal cord stimulation (SCS), or dorsal column stimulation, is an advanced treatment for certain types of chronic pain. 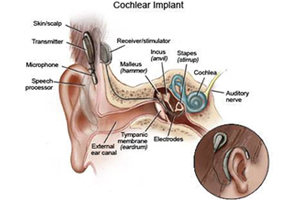 SCS is actually one of a number of medical therapies in a broad category of medical devices called neurostimulators. It serves as the key part of neural prosthetics for hearing aids, artificial vision, artificial limbs, and brain-machine interfaces. 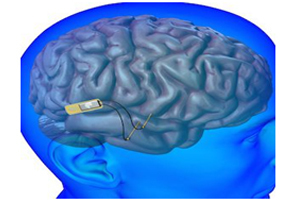 In the case of neural stimulation, mostly an electrical stimulation is utilized and charge-balanced biphasic constant current waveforms or capacitively coupled charge injection approaches are adopted. The cochlea is a portion of the inner ear that looks like a snail shell (cochlea is Greek for snail.) The cochlea receives sound in the form of vibrations, which cause the stereocilia to move. The stereocilia then convert these vibrations into nerve impulses which are taken up to the brain to be interpreted. It is a spiral-shaped cavity in the bony labyrinth, in humans making 2.5 turns around its axis, the modiolus and basically it is involved in hearing. The mastoid part of the temporal bone is the back part of the temporal bone. It’s rough surface gives attachment to various muscles and it has openings for the transmission of blood vessels. 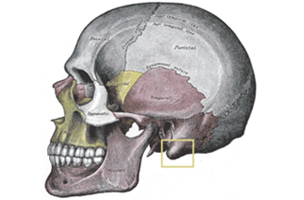 From its borders the mastoid part articulates with two other bones. It is present behind the ear which contains open, air-containing spaces. Mastoiditis is usually caused by untreated acute otitis media (middle ear infection) and used to be a leading cause of child mortality. Earwax, also known as cerumen, is a gray, orange, or yellowish waxy substance secreted in the ear canal of humans and other mammals. It protects the skin of the human ear canal, assists in cleaning and lubrication, and also provides some protection against bacteria, fungi, insects, and water. Earwax consists of shed skin cells, hair, and the secretions of the ceruminous and sebaceous glands of the outside ear canal. 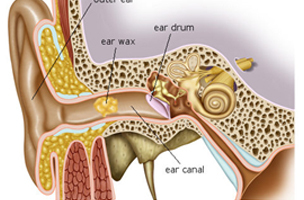 Major components of earwax are long chain fatty acids, both saturated and unsaturated, alcohols, squalene, and cholesterol. Smell loss is the most common type of olfactory disorder. Anosmia is the medical term for the absence of the sense of smell, whilst hyposmia refers to a reduced sense of smell. The point at which hyposmia becomes anosmia and vice versa isn’t exactly clear, however. There are many degrees of olfactory loss; some people lose it completely and suddenly, whilst others experience it gradually over time, sometimes not realising that it is deteriorating. Some people are born without a sense of smell – this is known as congenital anosmia. Dysgeusia, also known as parageusia, is a distortion of the sense of taste. Dysgeusia is also often associated with ageusia, which is the complete lack of taste, and hypogeusia, which is a decrease in taste sensitivity. An alteration in taste or smell may be a secondary process in various disease states, or it may be the primary symptom. The distortion in the sense of taste is the only symptom, and diagnosis is usually complicated since the sense of taste is tied together with other sensory systems. Ototoxic drugs include antibiotics such as gentamicin, loop diuretics such as furosemide and platinum-based chemotherapy agents such as cisplatin. 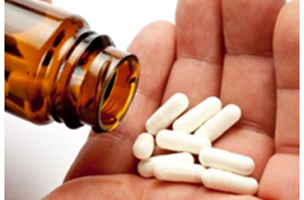 A number of nonsteroidal anti-inflammatory drugs (NSAIDS) have also been shown to be ototoxic. This can result in sensorineural hearing loss, dysequilibrium, or both.